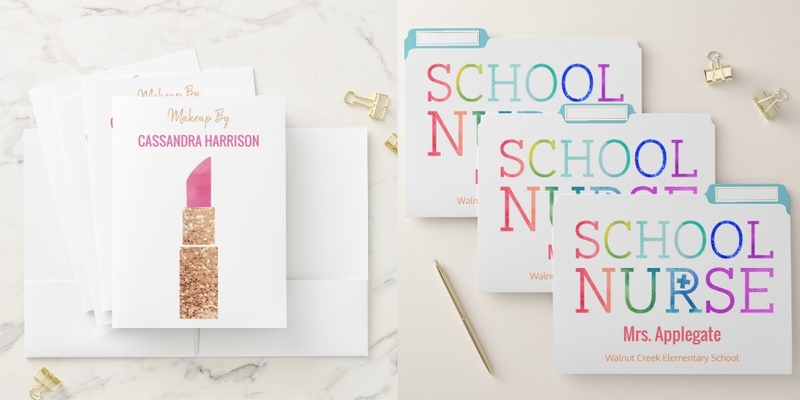 Personalized folders off a fun, customized way of staying organized. Offices all over can finally rejoice; organizing just got a makeover. Clean, simple and made just for you, filing receipts has never been easier. Perfect for offices, classrooms, and everywhere you want to get organized! File folders are sold in a set of three. Pocket folders are sold in sets of five. Mix and match for your home office or school. Great gift ideas for teachers, school nurses, coaches or someone that works from home.